Don’t let your chocolate fountain rental business get too comfortable renting to the same clients. Branch out with these three new venues that hold events perfect for commercial chocolate fountains. 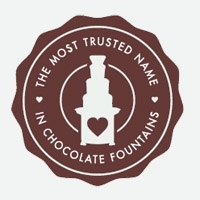 Once they rent your chocolate fountain, these new markets are sure to become or produce lifetime clients. Chocolate-Loving Schools What teenager doesn’t love chocolate and wouldn’t love the interaction of a chocolate fountain at the next dance? Homecoming and prom are two dances where schools could budget for a chocolate fountain rental. Since dance committees are usually formed with students to help decide the direction for the dance, you probably won’t have to try very hard to convince these students and teachers that a chocolate fountain is just what their school dance needs. It could also help sell more tickets to students who otherwise might not have bothered to attend. Another avenue to explore is school fundraising events, especially in the private school and university sectors. Discuss the draw of the chocolate fountains and how that can benefit the organization. Especially in these difficult economic times, trying to elicit money from parents and alumni might result in more donations and a higher attendance if a chocolate fountain will be present for all to enjoy. Restaurant Buffet Events Many regular restaurants hold buffet dinners or lunches for special events and holidays to attract more business outside their normal clientele. Approach any of these restaurants with the idea of renting your chocolate fountain for their next buffet event, and they’ll probably jump at the chance. Remind them that chocolate fountains not only attract positive attention and satisfy the chocolate cravings of hungry guests, but will help their restaurant stand out in the minds of these patrons who experienced your delicious chocolate fountain and are more likely to return at the next holiday buffet and spread the word. Get in Line at Summer Festivals Most areas in the country view summer as a time to celebrate just about anything. Summer festivals abound, mostly because they are successful at attracting large crowds to enjoy whatever that festival is celebrating. Rent a booth at your local summer festival and offer people a dipping package for a certain price, or different dipping choices, such as fruit and confections, confections and baked goods, or one of each to dip into your delectable chocolate for chocolate fountain. Of course, your business cards or a brochure will be handy so that anyone who tastes your chocolate can find out how to rent your chocolate fountain for their next event.